It has been broiling under the covers for some time, but José Mourinho has finally confirmed that Oscar is his first choice No 10. This comes as a major blow to Juan Mata, who has played just 145 minutes of football this season. It was widely thought that Mata’s absence from the first-team was down to the player recovering from a pre-season injury, while he has also played football without a break for the past two years. The 25-year-old was constantly linked with the likes of Manchester United and Paris St Germain in the summer. Once again, it has been proved that there is no smoke without fire after Mourinho’s latest admission. “In this moment, Oscar is my No10. I have to prove to the fans that I am good. Now [Mata] must do the same. “I want to build with Oscar as my No10. I want the other two players, from the side, to adapt to that reality and learn how to do things they were not ready to do before. It is no secret that Mourinho is a defensive a manager. 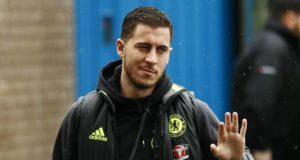 He may say that he wants Chelsea to play attacking football, but his priorities will be to stop the team from conceding goals. This is where the problem seems to come. Some of the best football must have played at Chelsea came when he was playing as the No 10. Based on Mourinho’s comments, it appears that Mata is not happy playing on the wings. He is also not happy being told to track back. Oscar is not a wide midfielder and it does not make sense to use him out there. Whatever it is, Mourinho does not seem to like Mata, and it has become official now. The Spaniard faces a tough battle to get back into the team. Will he do that or request a transfer in January given that this is a World Cup year? You can’t help but feel sorry for the little Spaniard. Mourino is finish he as ntin to offer.the earlier is sacked the betta for chelsea.D fans says dey prefer mourino to benites nw they will regret it and no dat notin is special about morino, he is jus a big foul. Na true word u talk. It’s a lie, mata is a good player. Mou should either free mata or allow him 2 play for 1st eleven. Jose Mourinho should allow Juan Mata play in the first eleven and stop suffering the spaniard. 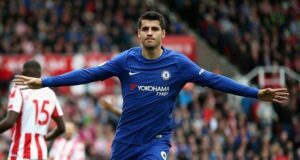 He’s a good player and we all know it because last season,he really helped Chelsea so he deserves to be in the first eleven. Also Ba shouldn’t be left out here too. As for our match today, Fernando Torres tried so i think he could be paid upfront atimes with Samuel Eto’o and Ba inclusive if possible. I think Oscar is so motivated and tireless. Chelsea lost against Basel,but everywhere you looked Oscar was in there. Mata has been a hero for the Blues,but I think he is outclassed by Oscar. But hey guys… what do I a silly woman know ? 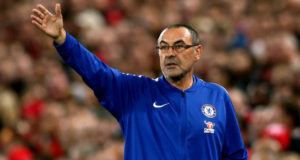 Those who are calling for Mouriho’s sack, should go to Stanford Bridge and do the sack. Not by making noise.